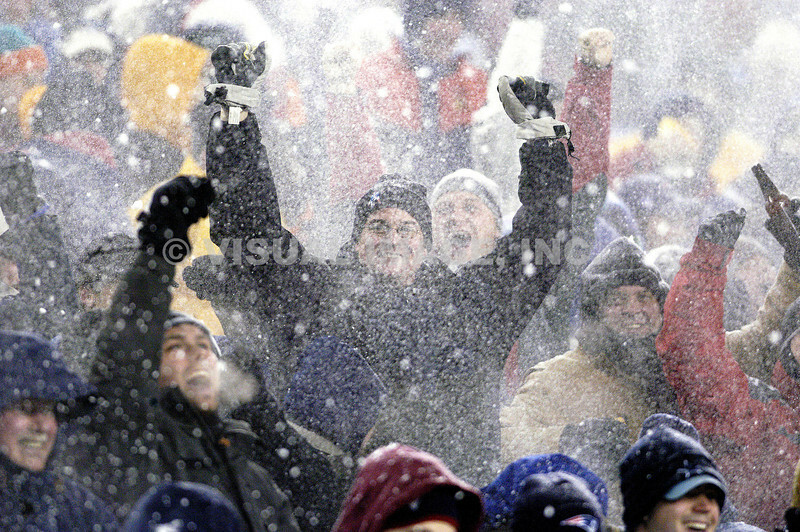 New England Patriot fans in the snow at Gillette Stadium during the Patriots 12 to 0 win over the Miami Dolphins wk. 14, clinching the AFC East. Pats118DolphinsNFLNew England PatriotsFansWinterSnowTom CrokeVisual Image Inc.